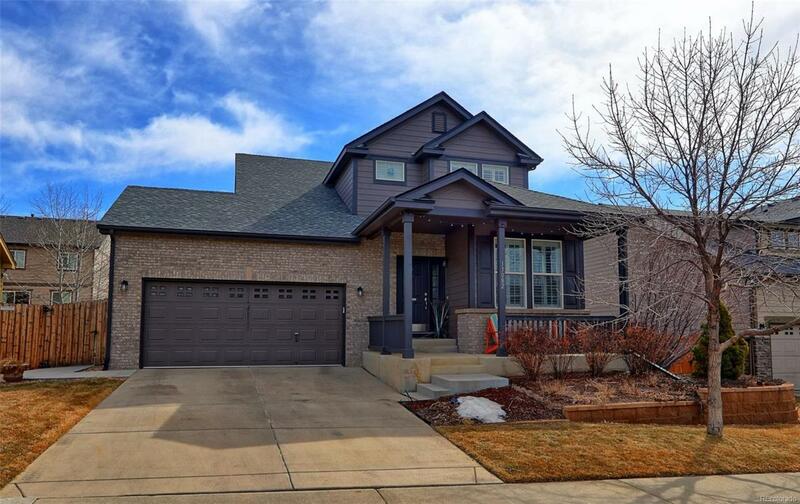 Wonderful 3 bedroom 3 bath home complete with desirable open floor plan. Kitchen has slab granite countertop and newer black stainless steel appliances. Entertaining is easy with ample countertop space, a large butlers breezeway and oversized pantry. Solid wood floors and tile floors can be found throughout the dining room, kitchen and family room. Enjoy the Colorado outdoors with an abundance of annuals that have been planted and ready for this upcoming Spring season. The backyard is complete with oversized concrete patio, raised garden beds and a serene pond complete with Koi fish.